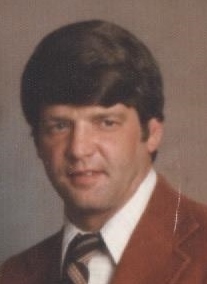 Charles Thomas “Tommy” Eanes, 68 of Crewe, retired auto salesman, passed away on January 15, 2019. He was preceded in death by his parents Harold and Ophelia Eanes and brother Harold Eanes Jr. He is survived by three sons, Stephen (Lynette) Eanes of Powhatan, Chuck Eanes of Crewe, Jeff Eanes and fiancée Rebecca of Blackstone; one daughter Helena Eanes of Powhatan; sister Linda Hudson of Amelia and brother Greg (Linda) of Brandon, MS; granddaughter Emily Elizabeth Eanes and grandson Ashton Thomas Eanes; and several nieces and nephews. He leaves behind two ex-wives: Theda H. Kester and Janet W. Eanes; also friend John Willmer and family in Crewe. Memorial Service will be held at 2:00 p.m. on Sunday January 27 at Hillsman-Hix Funeral Home, 16409 Court St. in Amelia.